Beautiful Creekside Setting and a short distance to Dunn Court Beach. Spacious 3 bedroom, 2 bath home featuring large rooms, formal living room with large windows bringing the outdoors in. Large deck overlooking the seasonal creek plus a balcony off the master suite. Recent improvements include: New Mitsubishi Split ductless heating and AC system, Extremely hi-efficiency 5-zone unit, with separately controlled unit in each bedroom, living room, and family room. New Hi-R value ceiling insulation. New low-flow ADA-compliant toilets. New high-efficiency refrigerator. Reverse osmosis water filter in kitchen. New exterior paint currently in process. Large Buck stove with circulation fan in the family room plus a large ornamental fireplace in living room. Perfectly located, near town, just over mile to the lake/beach or 1 mile to the golf course, country club, The Grill, tennis courts & swimming pool. 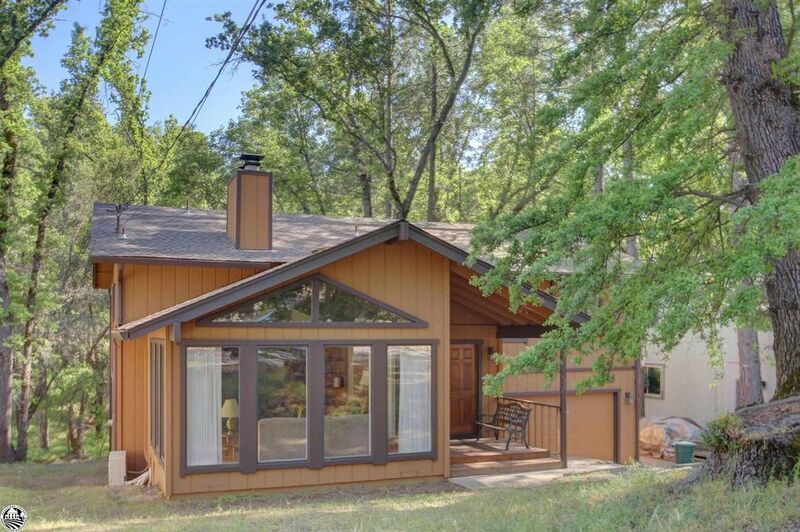 Located in Pine Mountain Lake gated resort community, just 25 miles from Yosemite National Park. Pine Mountain Lake offers many amenities, including the Private Lake with three beaches, Championship Golf Course, Airport, Equestrian Center, Tennis Courts, Swimming Pool, Private Roads and Gated Community.